Chris Pine Crying At The Oscars Shouldn't Pull Attention Away From 'Selma' Or From "Glory"
The Academy Awards got very emotional last night during John Legend and Common’s “Glory” performance. The song earned a standing ovation from the audience, and it moved Selma actors David Oyelowo and Carmen Ejogo to tears. But it seems like all anyone is talking about on Monday is the fact that Chris Pine crying during the "Glory" performance — and that's really upsetting to me and many people on Twitter. After all, the media is highlighting Pine's emotional response ahead of the response of any of the actual stars from the movie the song was in. Why is such a powerful performance being undercut by outlets instead choosing to focus on Pine instead? The media is highlighting Pine's emotional response ahead of the response of any of the actual stars from the movie the song was in. "It moved many audience members to tears, including actor Chris Pine," reported Heavy.com declining to name anyone other than Pine. 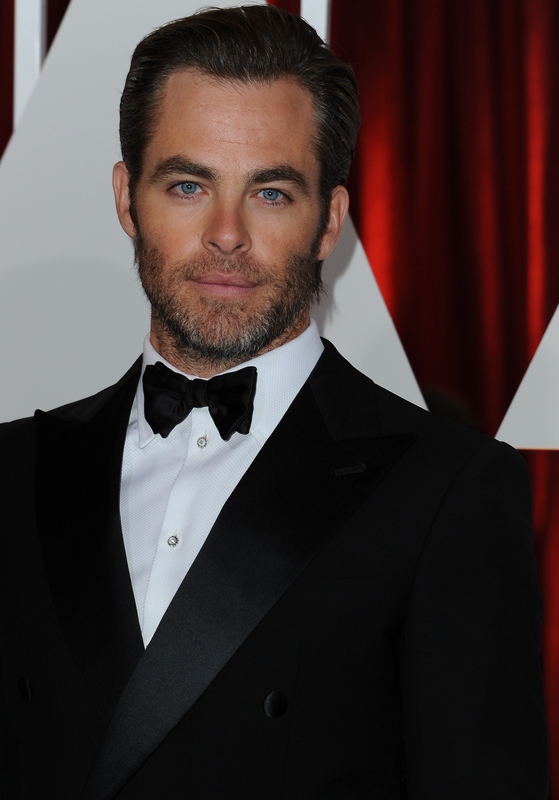 "Why was Chris Pine crying at the Oscars?" a USA Today headline asked. All the attention that Pine is getting from the media even led Gawker to sarcastically label crying Chris Pine "The Face of Civil Rights" for their own article on the bizarre coverage. I think it's sweet that Pine was moved to tears, but I don't think he deserves the spotlight this time around. Pine got a lot of air time during Common and John Legend's acceptance speech, too, as the camera focused on his standing ovation after their rousing speech. Why did the camera crew cut to him at all? Why not focus on the Selma cast's responses? Or stay on the stage where Common and John Legend were performing and speaking? It's so shocking to me that the broadcast chose this bizarre moment to highlight a Caucasian actor in the audience, especially because Selma is a civil rights movies that made it a point not to explore the African-American experience from the point of view of a white lead. Director Ava DuVernay even told Rolling Stone, "I wasn’t interested in making a white-savior movie; I was interested in making a movie centered on the people of Selma." For that point alone, it's beyond ironic that the Academy chose to show Pine's tears, and that the media latched onto the image. Ultimately, I'm really disappointed with how Pine's emotion was handled, or, more specifically, with the way the "Glory" performance was ignored in the face of Pine's emotion. But at least people are calling the media and the Academy out on it. Hopefully they'll listen.